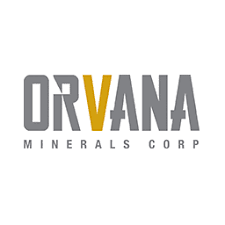 Orvana Minerals Corp. (TSX:ORV) is pleased to confirm its December 21, 2018 press release, by announcing the closing of a €6 million (approximately US$ 6.84 million) credit facility through its wholly-owned subsidiary, OroValle Minerals S.L. The Credit Facility provides funds at an attractive interest rate of 2.55%, and is better aligned with OroValle’s successful operational turnaround schedule of four years (term period). The Credit Facility, signed with Spain-based BANKIA, BBVA and SABADELL banks, bears a fixed interest rate of 2.55% with semi-annual repayments over a four-year term; and is subject to a 2% commission fee. Orvana’s obligations are secured by: (i) the pledge of OroValle’s shares (El Valle Mine in Spain); (ii) the pledge of OroValle’s doré sale proceeds; and (iii) a 12.5% restricted cash requirement. Concurrent with the closing of the Credit Facility, Orvana has repaid the Samsung C&T’s Prepayment Facility, originally established in August 2016. The Company continues its excellent commercial partnership with Samsung C&T for the sale of copper concentrate from its Don Mario Mine and gold doré from its El Valle Mine. Orvana is a multi-mine gold-copper-silver company. Orvana’s operating assets consist of the producing El Valle and Carlés gold-copper-silver mines in northern Spain and the producing Don Mario gold-silver operations in Bolivia.